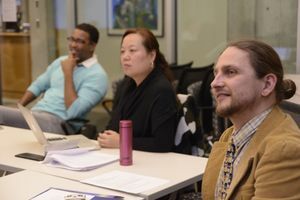 A unique partnership between the Graduate Theological Union and the University of California, Berkeley, creates unparalleled opportunities for students at both schools. The cooperative relationship means students in many UCB degree programs -- including both graduate students and upper-division undergraduates -- are eligible with their advisor's approval to cross-register for courses at the GTU, at no additional cost. 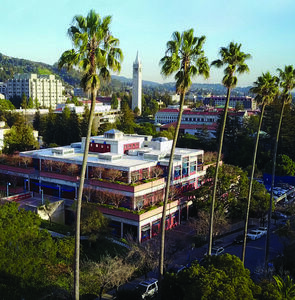 The GTU library at 2400 Ridge Road and most of our classrooms are just a five-minute walk north of the Cal campus. The GTU is the most comprehensive center for the graduate study of religion in North America, offering MA, PhD, and Certificate programs in an interreligious consortium—or union—of more than 15 member schools, academic centers, and affiliates. Below we've highlighted a few Spring 2019 courses at the GTU that might be of interest, but you'll find many more on our searchable course schedule. GTU courses begin the week of February 4, so it's not too late to register. Talk with your advisor about registering for a course at the GTU today! We hope we'll see you soon!